Odessa is a city near the Black Sea, which allows you to feel free, slightly frivolous, because this is literally the Ukrainian analogue of the Vatican. Odessites are unique people with an amazing sense of humor, hospitality and beauty. 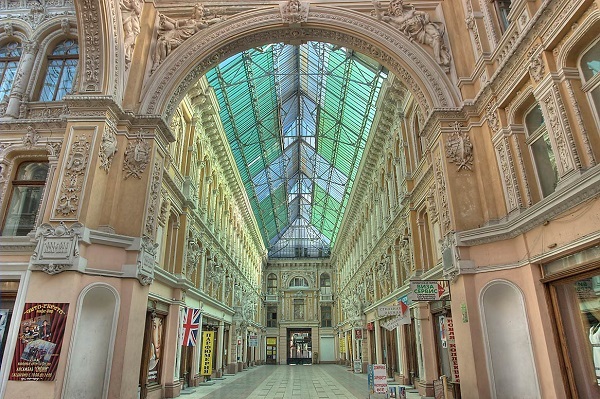 We recommend you to see exactly these Odessa places, to be imbued with spirit! The first stop, of course, will be ‘Pryvoz’. The first customers encountered the sarcasm of the sellers in 1827. Since then, the place has undergone some changes, the buildings were completed and demolished. However, the very manner of trading in ‘purely Odessa way’ did not change at all. 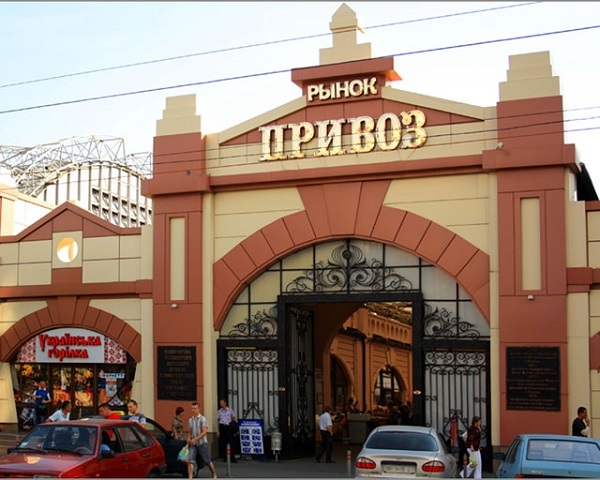 Therefore, in order to immediately feel the spirit of Odessa, it is worthwhile to come here, bargain, taste everything possible and, of course, buy real Black Sea crustaceans. Be sure, after asking a question about the freshness of the fish, you will immediately receive the answer: ‘What are we talking about, exactly just from the sea!’. 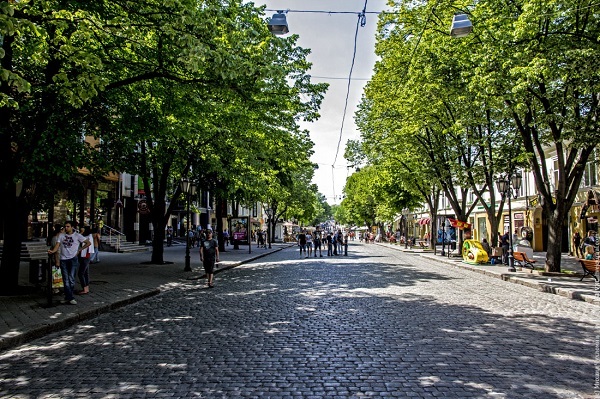 The next important point will be the most famous walking street of the city Deribasovskaya. You must look at the monument to Yosef Deribas: stand by him, think how he managed to build such a beautiful city. Walk slowly, savoring every cobblestone that has been here since 1815. Each of them remembers how Pushkin and Count Vorontsov, Utesov and Vera Kholodnaya walked along the pavement. By the way, at the very end of Deribasovskaya you will find a monument to Leonid Osipovich, and a little further — the twelfth chair. There is also a beautiful city garden, where a live orchestra plays in the evenings, and people dance and relax. 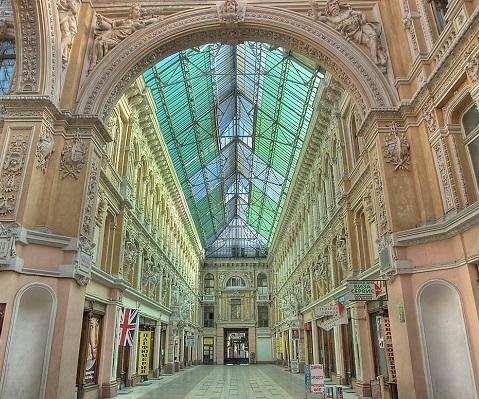 Famous Odessa Passage situated opposite the City garden. There were a lot of such places in Odessa, but now he is the only one on Deribasovskaya, 33. Here you can cut your hair, drink coffee, buy authentic Ukrainian souvenirs and simply enjoy the beauty of the architectural composition. And in rainy weather you can hide and watch as the drops hit the glass roof. At the exit from the Passage you get to the Preobrazhenskaya street. Having crossed the tram tracks, you will certainly pay attention to the fountain, around which a huge number of artists who sell their paintings are located. Here you can get a unique work of the brush, although not such eminent artists as Monet, but nevertheless truly from Odessa. After visual pleasure, it’s time to proceed to the moral. For this we propose to go to the Opera House. 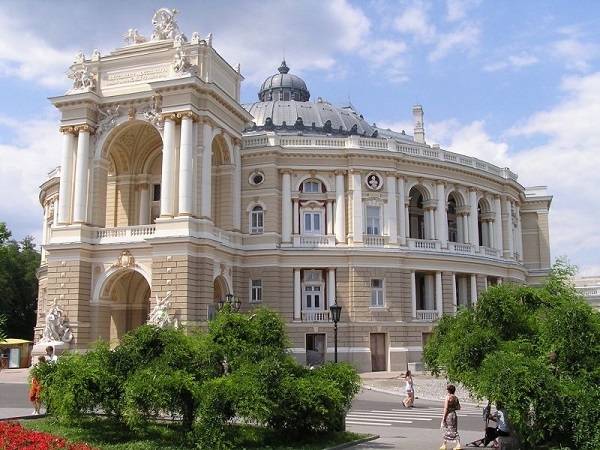 Needless to say, what exactly is the Odessa Opera House the second most beautiful theater in the whole world? So, he suffered cataclysm several times and always struck with his furniture. Feel free to step inside and ask for a tour of the museum with him. You will learn a lot of things that are not found anywhere else, and you can also look at the original costumes that participated in the first performances. 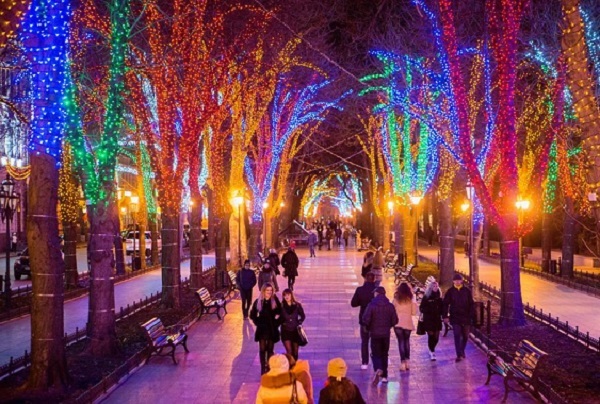 After the evening performance, make a promenade along the Primorsky Boulevard. From the monument to Pushkin, who stands with his back to the Odessa City Council. Why? You can hear interesting story if you’ll join an occasional excursion right there, under the monument. Or ask the residents of Odessa, they like to tell it. So, the next point will be a monument to the Duke de Reschille: a lot of people prefer to watch him from the second hatch. In no case don’t do it – it’s a mauveen. Reshile looks directly at the Potemkin Stairs leading to the Odessa Marine Trade Port. In the evening, the view is simply stunning. We recommend!